If you’re anything like us, you love a good deal, and there’s no better sale than a brand NEW sale! 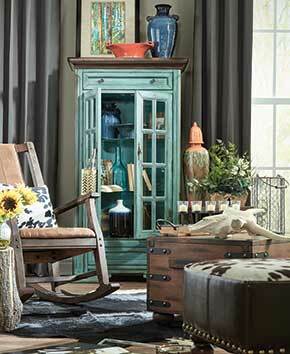 At Badcock Home Furniture &more, we have an incredible selection of items on sale right now. 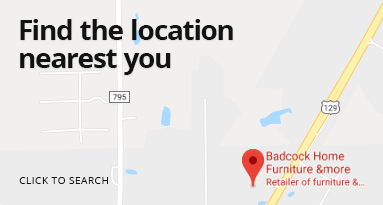 From modern bedrooms to classic dining rooms to every room and style in between – you are sure to find the perfect piece(s) of furniture and awesome appliances with fantastic savings to match! As with any great sale, they won’t last for long. Make sure to shop now before these amazing deals are gone! Want to refresh your space but not ready to pay for it all at once? We offer affordable in-house financing! Always have the best seats in the house for watching sports with our Hamilton Collection Sofa. No sag, full-foam seating and padded arm assures comfort, burgundy-brown fabric and black piping with contrasting baseball stitching brings a casual style all its own. And with a durable frame, it’s designed to outlast even the most passionate victories.